It hardly needs be said that change can be scary. It can also appear to be expensive and difficult. Despite all that, almost half of all healthcare professionals intend to integrate telehealth into their practice by 2020. They are doing so for a number of reasons, including better relationships with their patients and improved patient health outcomes. This works because app users are more engaged in their day to day health needs with interaction via their smart devices. From a user perspective, patients are already accessing a wide array of health apps, from workout evaluations to cardiac monitors. Most of the more than 10,000 apps are generic and not strictly speaking scientific in nature, but there are available apps that doctors endorse for their patients with specific conditions. These are the ones that matter. 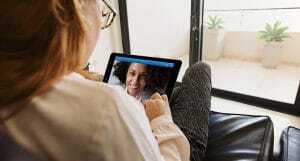 In many respects, doctors and patients are already engaging with one another via telehealth: Emails, phone calls, online lab results, and so on. The beauty of choosing an app is that it centralizes all that contact in one location and guarantees a continuity of records. That is, instead of trying to integrate patient information from a dozen different platforms into a coherent whole, a good app can do it for healthcare professionals all at once. 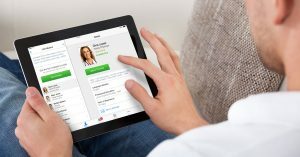 Further, in big practices, telehealth apps will make sure that different practitioners working with the same patient will all be fully informed on what everyone is doing. Thus, it fosters the team environment that has been proven so critical to positive patient health outcomes. It is also important to make sure a practice offering telehealth options understands the needs of their patients and how they interact with modern health technologies. That is, it is just as important to know what a given healthcare professional wants to make available via telehealth as it is to ensure patients know what their options are. Choosing the right telehealth provider is integral to success. And, perhaps best of all for those wary of change, there is no need to jump in head first as the telehealth integration process begins. In fact, a methodical, planned out phase-in strategy is highly recommended. This helps both healthcare professionals and their patients as they acclimate to the new systems and openings for care. 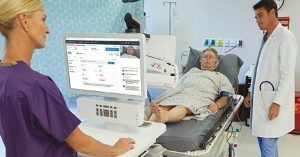 Once a given stage has proven successful and telehealth becomes normalized, it can easily expand via modular offerings. Overall, change toward telehealth is a good thing for health professionals and patients alike. Concerns will be addressed in the early stages of implementation, and it is through the staged rollout that practitioners can find the best way to help their patients.